EBT BONUS! 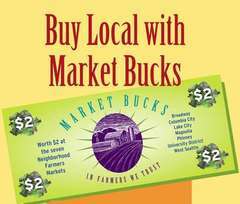 The next two Wednesdays, September 29th and October 6th, get $10 or more in FOOD STAMP tokens on your EBT card and we'll give you $10 worth of market bucks!, while supplies last. 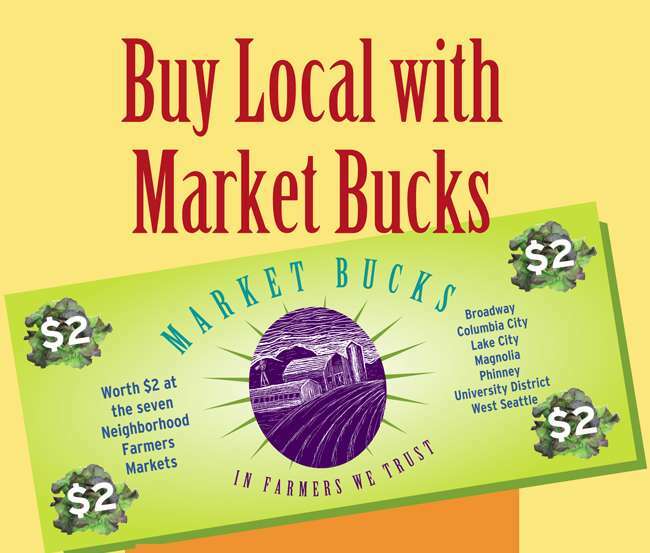 Market Bucks are worth $2 each and can be used to buy anything for sale at the market. You can use them at any of our 7 neighborhood markets before December 31, 2010.